A universal nitrogen fertilizer, containing 34% of nitrogen. Manufactured by «KuibyshevAzot», Russia. Sale of 500 tons to legal persons. Ammonium Nitrate is a nitrogen fertilizer ( contains 17% of ammonium N and 17% of nitrate N). It is made through neutralisation of nitric acid with gaseous ammonia followed by granulation. – Grade A is used in industry for making explosives. – Grade B is used in agriculture: As a nitrogen fertilizer may be applied to all kinds of soils and crops. Ammonium nitrate fertilizer is applied before sowing both as a basic fertilizer and a top dressing. AN is especially efficient for top dressing of grain crops in early spring. AN is treated with anti-caking agent against caking. 500 kg and 1,200 kg polymer “big bag” containers, in bulk (60 t special mineral fertilizer rail cars). 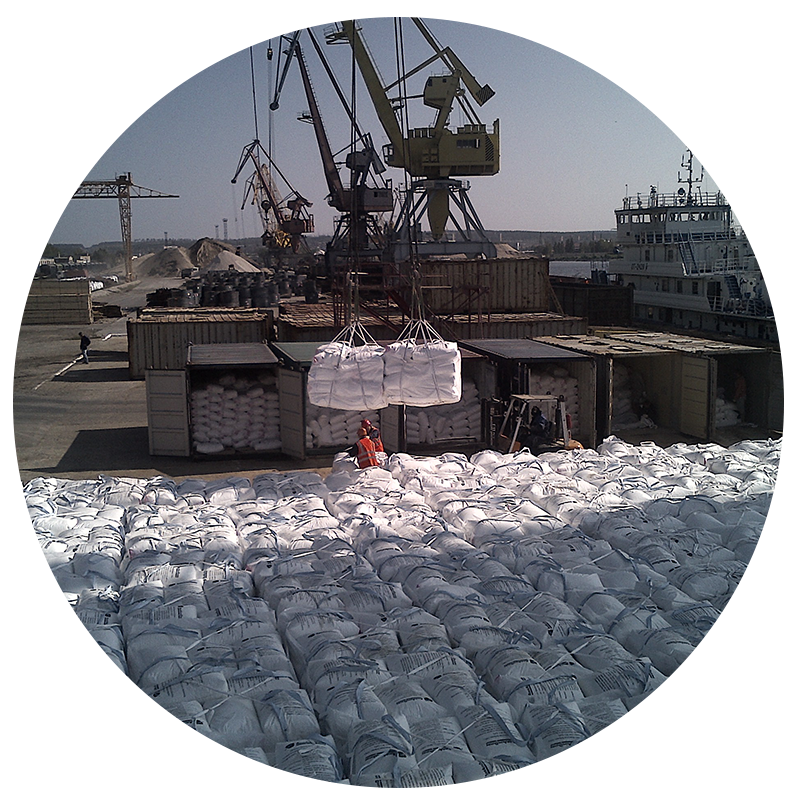 Ammonium nitrate is transported by all kinds of vehicles, exclusive of air transport, in accordance with the rules of goods carriage applicable for the relevant mode of transport. AN is stored in closed dry storage rooms to avoid moistening. The packaged AN may be kept in a ground storage. 6 months from the manufacturing date.